Back in 2015 when Chris Stapleton released Traveller, it was clear how criminal it was for how long it took for everybody to hear his golden voice on a full-length album. How can somebody this great take so long to be finally be heard? 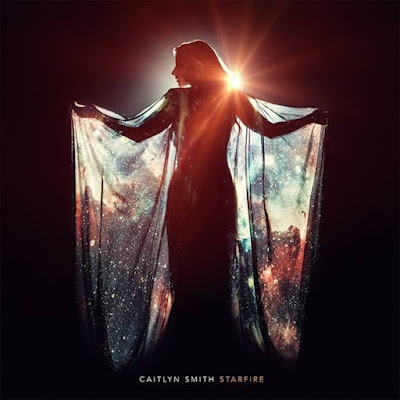 And the same thing can be said for the debut, full-length album from songwriter Caitlyn Smith. She has spent years writing for some of the biggest names in music, but now finally she gets an album of her own. You may not know Smith, but just give her new album Starfire one listen and you’ll never forget her. The album opens with the waltzing “Before You Called Me Baby.” Right away you get a taste of the absolute raw power of Smith’s voice. Her command and presence will grab your attention and hold it until the album ends. “Do You Think About Me” is a yearning heartbreaker about not being able to move on. The album’s title track is a fiery anthem about staying true to you. It reminds me of something Dolly Parton would have cut back in her prime. Every song on this album is great, but there are a couple that go even beyond and one of them is definitely “East Side Restaurant.” Smith’s voice is chill inducing on the chorus, evoking so much heartbreak and emotion as she hits her highest notes. The production brings an elegant, classy and refined feel, perfectly complimenting the lyrics and setting the scene in the listeners’ heads. Smith brings a palpable, aching desperation on “Don’t Give Up on My Love” that enraptures you. She goes through all of the emotions of a rising singer-songwriter in Nashville on “This Town is Killing Me.” She recalls all of the sacrifices she made to realize her dream of making music. It’s the story of so many names you’ll never hear, but something the listener needs to know. Smith recalls in “St. Paul” the special place this city holds in her heart due to it being the place of her first gig and being from Minnesota. “Tacoma” is one of those songs you’ll instantly fall for on the first listen. Garth Brooks cut it on his comeback album a few years ago, but Smith brings the raw passion that is needed to take the song to it’s full potential. The bridge of this song goes to a place very few artists can go (it would be unfair to spoil this) and something that you need to hear for yourself. Smith shows off her vivid storytelling ability on “Scenes from a Corner Booth at Closing Time on a Tuesday.” You’ll feel like you’re at that bar taking in the scenes with her. 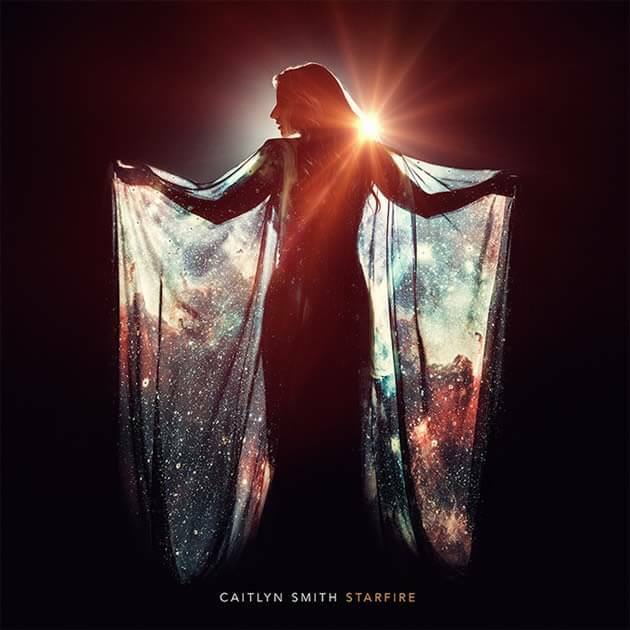 While the album tackles a lot of serious subjects and themes, Smith shows off a more fun side on “Contact High.” It’s a catchy love song that helps bring a great balance on the album and allows Smith to really show off the range of her voice. “House of Cards” goes on the opposite end of the emotional spectrum. It’s also the best song on the album. The song delves into faith, hope and self-doubt in such an emotional way. You can sense how much Smith has lived this song and in turn it makes you recall your own emotional hurdles. The song is a perfect demonstration in the powerful connection that resonates between people when showing vulnerability. The album closes with the romantic love ballad “Cheap Date,” a heartfelt and realistic look at love you won’t see in a Hollywood movie. Caitlyn Smith’s Starfire is fantastic in every way. The songwriting is sharp, smart and relatable to the everyday listener. The production is smooth, flawless and really helps bring the words of the songs to life. Smith without a doubt has one of the best voices you’ll hear in music today. You’re doing yourself a disservice if you haven’t listened to this album. It’s one of the best you’ll hear in all of 2018. Starfire is available on Amazon, iTunes, Spotify, etc. Good to hear from you again Josh. Great review, and I hope you've been well!